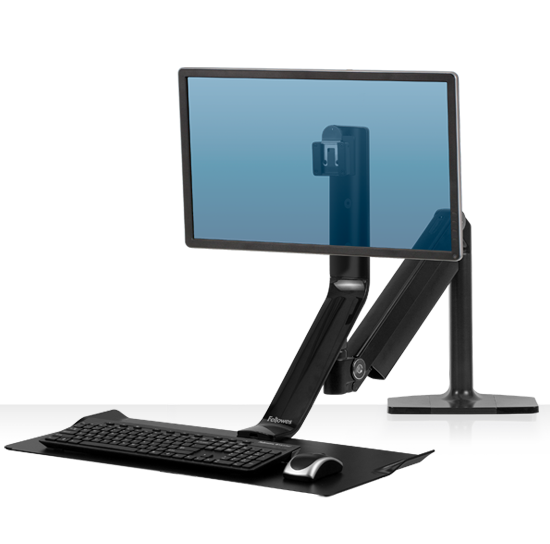 Transform any desk into an active one with the Extend™ Sit-Stand Featuring Humanscale® Technology. 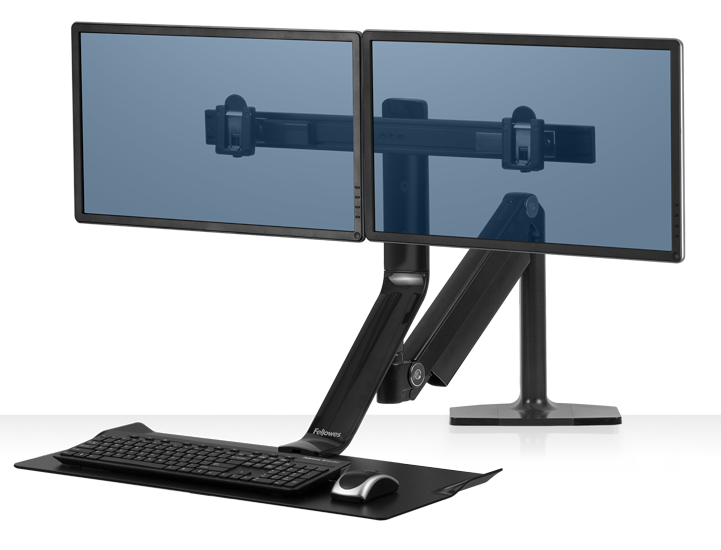 Convenient cord management keeps your keyboard, mouse, and monitor wires all hidden from view. 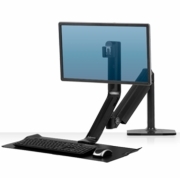 The premium tier articulating arm is easy to adjust, reaches up to 40" and swivels 180 degrees so you can easily share your screen or move the platform out of the way.